We have begun the Ice Cream Making Season at our house. Homemade ice cream is one of my favorite summer traditions. I am finally taking the time to finish the lovely book, The Art of Family by Gina Bria. One of the chapters I read this week talked about rituals and the importance of them within families. She mentions food a great deal in this section, as it is oftentimes woven into special moments and occasions. I agree wholeheartedly that “raising up our bodily needs into lasting bonds” is a wonderful aim. (Not that ice cream is a bodily need – but that tradition, food, our homes, and rituals make lasting bonds). There are so many recipes for homemade ice cream- some that require cooking, some require chilling before freezing, and then there are the kinds like this one that only requires dumping and stirring before freezing and they are my favorite! Two years ago, I wrote about Ice Cream-making HERE. My friend, Audrey, made this amazing Coconut Ice Cream and brought it to our Women’s Study. She said it was super-simple, and I kind of believed her. I made it last week and it feels too easy to be true! 3 ingredients and no cooking or chilling before freezing! 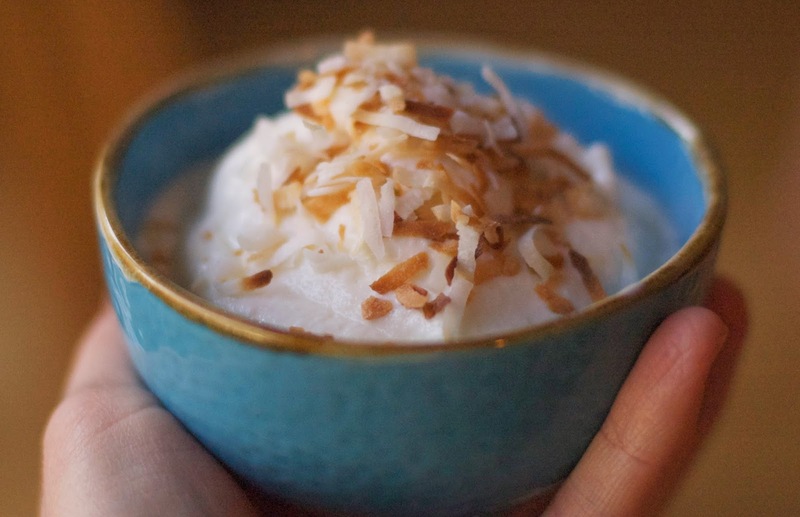 It is creamy and icy, and it’s coconutty enough but not in an overpowering way. My family is crazy about it. They all adore coconut (or “co-co-nut” as my 6 year old lovingly and phonetically pronounces it). Here’s the recipe. 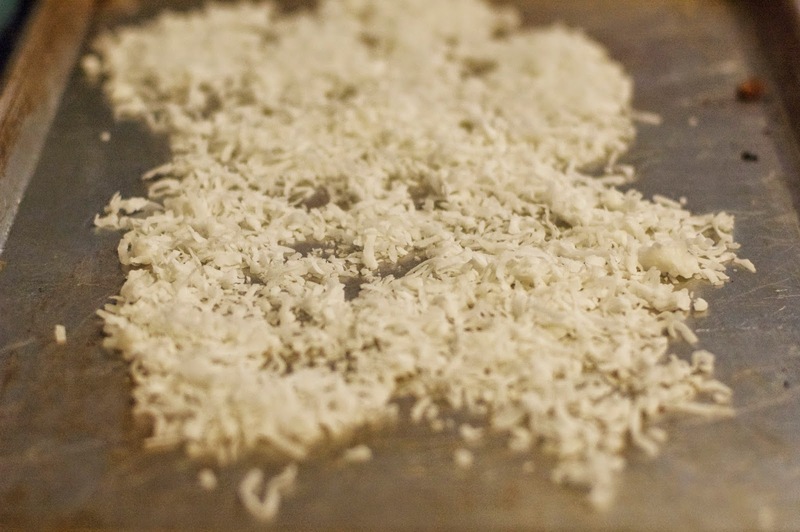 For the topping- 2 cups sweetened shredded coconut. Stir the 3 milks together. Use a whisk, if needed, or a fork, to make a smooth, consistent texture. Pour into ice cream maker canister and follow directions on your ice cream maker for churning/freezing. likes to be in the pictures that much too). While the ice cream is churning, spread coconut on a baking sheet and bake at 350˚ for a few minutes until toasted and browned on the edges. (You have to watch it because it moves from toasted to over-done very quickly). Pack and freeze ice cream in container after making to further solidify or eat immediately. 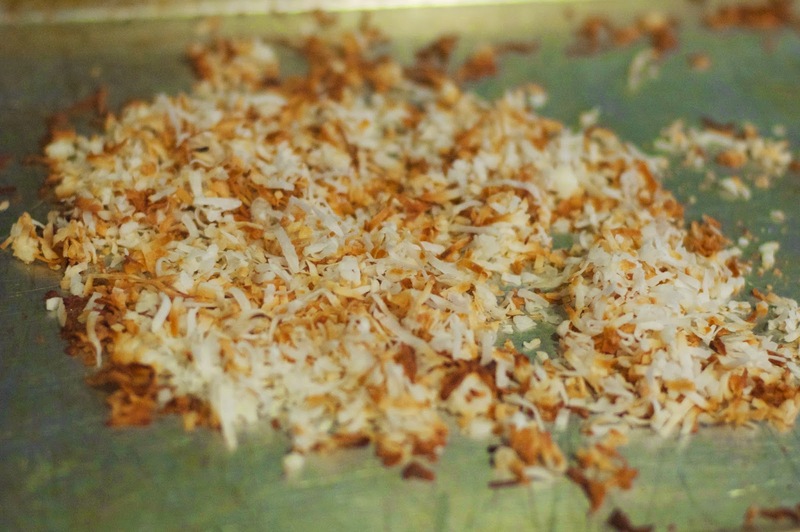 Sprinkle with toasted coconut when serving. If you don’t have an ice cream maker, see if you can find someone who will loan you theirs. Or if possible, purchase your own. Someone gave us our first ice cream maker (the electric bucket one that uses ice and rock salt) as a wedding gift. We used it so often and loved having it – so much so that for a lot of years, we gave bucket ice cream makers for wedding gifts to friends getting married. A couple of years ago, I got this indoor, fancy, no-ice-required maker from my parents. It makes a smaller batch but is really convenient and so easy to use. Hopefully, more flavors will be coming throughout the summer- we have several on the “to make” list. However, I can’t imagine they will beat this one! 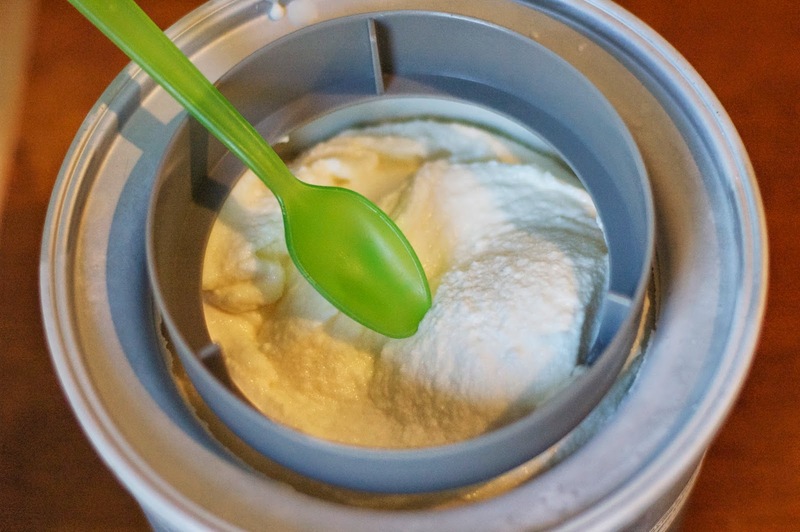 This ice cream is so yummy – I couldn't believe it when I saw how few ingredients it has. It's rich and cream – a coconut lover's dream. It was good plain, with chocolate chips, AND even on peach pie! DELISH! the cuisinart ice cream maker i treated myself to last year has proven itself a favorite for me as well (i mean, you cannot beat fresh ice cream in 20 minutes, with very little work required!). 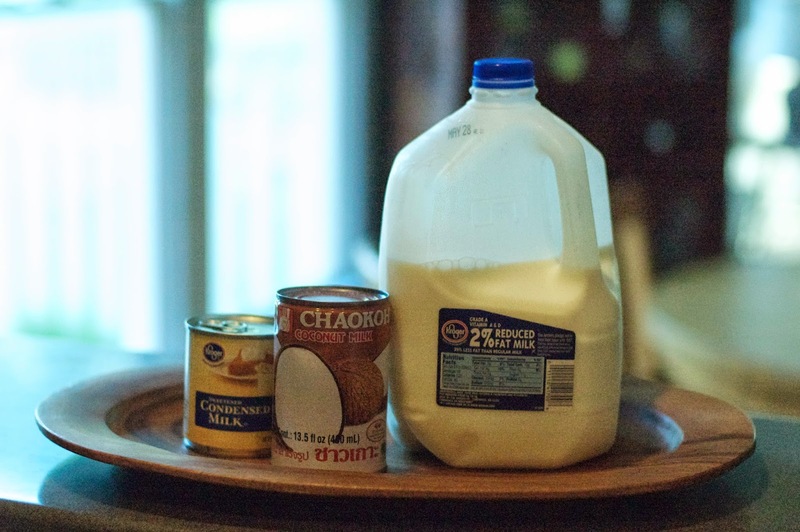 and, as a fellow coconut lover, this will be the first recipe i try after i break it out this summer!